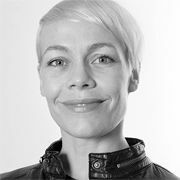 As Executive Creative Director at Superunion (formerly Brand Union Germany), Katie is responsible for driving and maintaining the overall creative vision of the agency. Working closely with clients and the creative team, Katie oversees every aspect of the creative process. Originally from New Zealand, she has previously worked with Landor Associates Hamburg, where in the same position, she was responsible for the creative direction of the office. Katie Taylor can look back on over 17 years of experience with international agencies and companies. With an extensive background in Design, Katie has won multiple awards such as the World Gold Metal Literature and the World Gold Metal Brand Identity at New York Festivals, has had her work included in the Museum for Design in Zurich, and has served on the jury for the Bachelor’s Degree for Visual Communication Design, Basel among many other notable achievements. Prior to Landor, Katie worked for a number of design agencies and brand consultants in New Zealand, Bahrain, and London, including Radley Yeldar, Greenspace, and Landor. During this time she led design projects for clients such as Zaha Hadid Architects and the Museum of Design in Zürich, was involved in the development of the BP brand and the re-creation of the Nokia brand, and led the biggest, most complex identity design project in Europe for Toyota. But, perhaps some of her most interesting history lies outside of the design world, through her extracurricular adventures such as such as training to be an acrobat in an ex-Soviet circus school and cycling solo from the top to the bottom of Europe. She received her degree in Visual Communication Design from Massey University in New Zealand and completed her post-graduate work at Basel School of Design in Switzerland.